Kirkman has been working on his The Walking Dean comic series for going on six years now. The series is a major monthly for Image Comics, and shows no sign of slowing down. On top of that the AMC television network is getting set to launch a major new TV series that is based on the books in October, 2010. Volume One, reviewed here, consists of the first twelve monthly issues of the comic. It is the story of a band of survivors of a zombie apocalypse as they make their way through ghoul infested lands and forage for survival. It centers around the family of Rick Grimes, including his wife Lori, and their seven year old boy, Carl. The story started out almost exactly like 28 Days Later began. Rick wakes up in a hospital - after a horrible injury – only to find that the civilization has already fallen. He then began an adventure that reunited him with his family, who had taken up with a caravan of other survivors including Rick's old patrol partner, Shane. 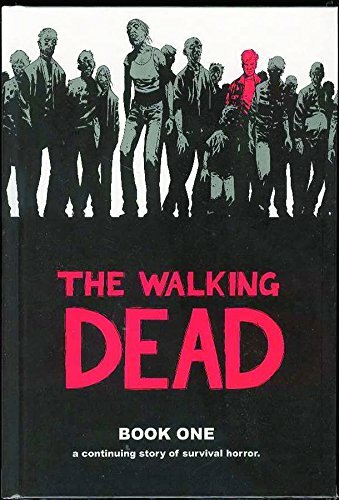 This first volume takes the reader through the caravan's decision first to wait for help from the government, then later to leave the Atlanta area once they had given up on their rescue fantasies, as zombies started moving from the metro area out to their rural camp. In this story the zombies are as dumb and slow as ever, and pose no threat to an armed party of humans, except when the humans are surprised by a large gang of them. The humans can basically pick them off from a distance, or club them when they get closer; no problem. That leaves plenty of time for scandal, insecurity, infidelity and lots of other generalized small-group social breakdown. And that is what The Walking Dead is really about...Please click here, or on the book cover above, to be taken to the complete review. Hi Omph, thanks for reviewing this. I've not read more than the first paragraph for fear of spoilage. 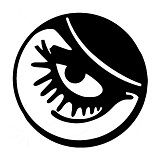 Could you recommend a Z-novel, are there any authors of real worth working within the genre. I've read World War Z and bits of survival, The snippets in WWZ left me wanting more. Here's everything I have in the db so far, arranged by star. That first one - the one by Dale Bailey - is amazing. In addition I've read but have yet to review some Bourne (Day by Day Armageddon, don't recommend) and Paffenroth (Dying to Live, recommend, though he does get pretty wordy). I think the best zombie stuff is in the short form. There are some great new anthologies out now. The Living Dead, editied by John Joseph Adams, is a great one. There's a sequel out. I can't recall the name (The Living Dead vol II?) but it's definitely on my radar. I'm also halfway through another anthology edited by John Skipp called simply Zombies. It's pretty good so far. There were some books in the 80's that started a movement called Splatterpunk that are really good. The movement was short lived, but it produced some gory stuff. The Book of all Flesh is one that I particularly liked. There were two follow up anthologies and I liked them too. The Monster trilogy (on the db list) was interesting, but wound up being magical, which turned me off. Haven't heard of the game, but it's definitely not the first. Ragabash goes to gaming conventions all the time. He's probably play tested it, if it's to that point yet. Cheers Omph, what this all about "$hilite = explode(" ",$key);" it appears at the end of quite a few of your reviews I noticed. inhuien wrote: Cheers Omph, what this all about "$hilite = explode(" ",$key);" it appears at the end of quite a few of your reviews I noticed. We're in the middle of tweaking the software to highlight searched for terms with a yellow stripe, as with a highlighter, but we're having trouble because of the way we have short stories nested within the entries for anthologies. Both require modifications to the end of the URL that seem to be mutually exclusive of one another. IOW, only one or the other will work at the moment. That string of characters is part of the fix, but its not finished yet. Just one of the many things we haven't gotten around to cleaning up yet. Ignore it and soon enough it'll disappear. patricia39 wrote: While I was reading that book review, I concluded that this book is dedicated for zombies. I have not yet read this book so I'd rather read your review about this book The Walking Dead. Maybe I should also buy a copy of this book so I can also write a book review about it. Thank you! Freakzilla wrote: She's already banned.